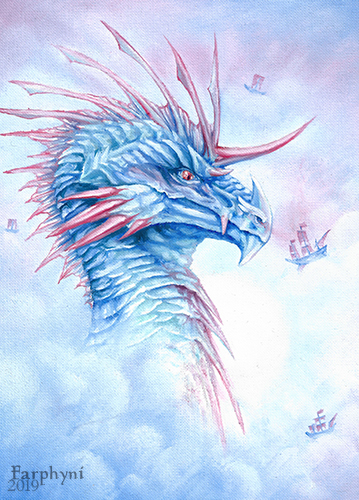 When the Couldsailors roamed through the sky, sometimes they saw the legendary dragon of Kamahul in the distance or vaguely hidden behind clouds, a good omen and bless for their travels. Finally dried and varnished. Second quick oil painting; experimental. The scene belongs to my worldbuilding project.